I'm 22 and in a serious relationship with my boyfriend. I feel like ever since I met him I've had a lot of mixed emotions from anger jealousy happiness resentment and hatred. 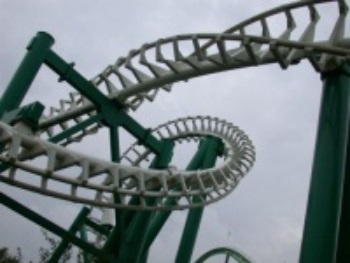 Sometimes I really do feel like that expression "emotional roller coaster." He's done a lot of things to me in our relationship that have caused a lot of jealousy issues and trust issues. We fight a lot and when we fight I just can't control my anger. And sometimes I feel like he pushes my anger to the edge. Sometimes our fights are for a reason and sometimes I will admit I really shouldn't have gotten so mad. My anger is causing a lot of problems between us, a lot of fights and disrespect towards each other. I'm afraid of what the outcome will be from these fights and I feel so sad and frustrated with my situation. I just don't know what to do anymore. a lot of people tell me I need to move on but we both can't do it. I think everything would be okay if I could just learn how to think clearly when I'm upset. I feel like my emotions are always at an extreme level. I really need some serious advice before this becomes any worse. Hello, and thanks for telling your story here. I'm glad you're taking responsibility for your anger, and choosing to work on it. If you follow all of the guidelines on this FAQ page, and take them very seriously, you will start to get some relief, and you will be better able to manage your anger. Most important, believe in yourself and the good, healthy person you truly are inside. You can do this...you can be the person you choose to be.